Clear No 208: Mary Sue Hubbard | Download as .pdf (to download, click on the grey ‘Download through Browser’ button which will appear in a new tab). This strange document was published in 1967. It’s a simple folded piece of card approximately 15 x 23cm – two pages, four sides. It commemorates the occasion upon which Mary Sue Hubbard (at that time the wife of L Ron Hubbard) celebrated her ascension to the state of Clear -the 208th person to achieve this status. There are only two pages of text (the other two are devoted to the title and a picture of Mary Sue). This consists of a potted biography of the lady which begins by describing her participation in Scientology’s early development, particularly the history of the Dianetics Institutes. It also bestows the fulsome praise required to create a cult of personality for Mary Sue herself, so that she may be seen to be worthy of her place at the side of the founder of Scientology. This was not to last. Nine years later, in 1976, she would fall from grace in a most extraordinary way. “A Clear, for instance, has complete recall of everything which ever happened to him, or anything he ever studied. He does mental computations, such as those in chess, for example, which a normal would do in half an hour, in ten or fifteen seconds.” (p. 214). Elsewhere, he claimed that Clears are completely free from mental or physical illness and grow new teeth. None of these extraordinary claims have ever been demonstrated to independent investigators. In fact, the only such investigation that every took place, found no evidence for the claimed benefits of ‘dianetic therapy’. If anyone ever deserved becoming a clear, it is Mary Sue Hubbard. 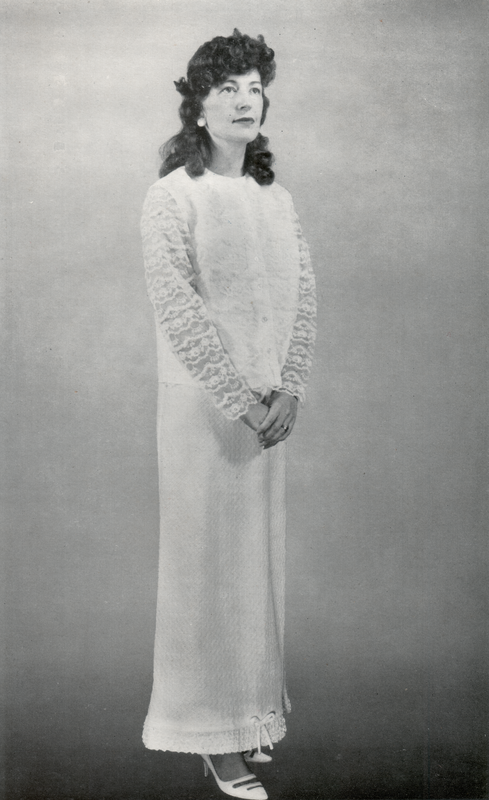 She came to the [dianetics] Foundation in Wichita, Kansas, in early 1951 and received her Hubbard Dianetic Auditor’s certificate and then became a Foundation staff auditor. She then began to help Ron as a research auditor. Mary Sue conducted extensive ‘research’ with her husband. This was not the conventional kind, however, as undertaken by scientists. It consisted of free association, using an e-meter to ‘verify results’. Some critics suspect that both Hubbards took drugs during these session. Certainly, they led to some of the very strange books and publications that marked Scientology’s early days. 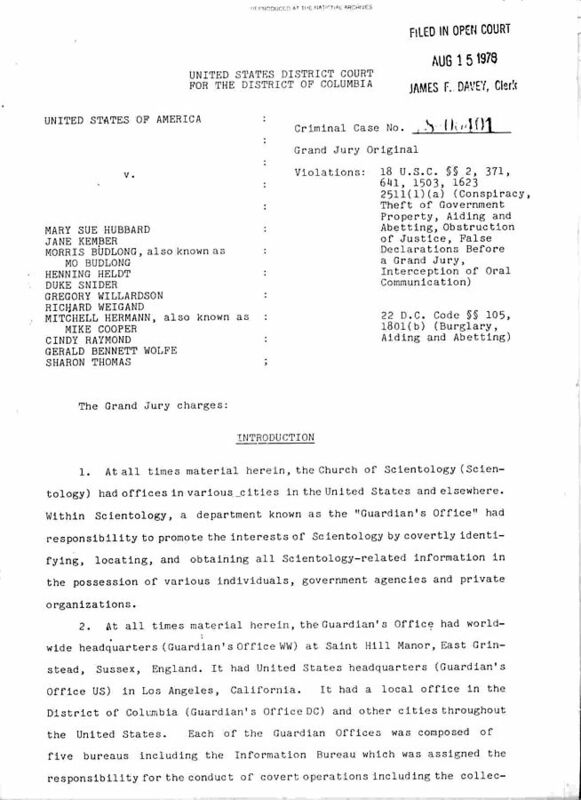 This document’s version of the early history of the Dianetics Institutes ( L Ron Hubbard’s first attempt at an international organisation) was also distinctive. It represents yet another example of L Ron Hubbard’s tendency to blame any setback on others, or upon a conspiracy against him. In Phoenix amid the constant violence of the turncoat Don J Purcell of Wichita and his suits which attempted to seize Scientology, Mary Sue became ill and to save her life, Ron took her to England where several Dianetic groups had asked him to form and organisation. The more generally accepted version of this period is quite different. Hubbard had made the mistake of presenting dianetics as a science, to which anyone could contribute. The dianetics institutes were quickly populated by people who forged ahead with their own independent ‘research’, loosening Hubbard’s grip on power. This may have been the reason that he drove these organisations into the ground, spending prodigious amounts of money on himself. The Dianetics Institutes soon had to be bailed out by Purcell, a millionaire who was fascinated by dianetics. He did so by buying the copyrights to dianetics, thereby injecting cash into the organisation. Purcell, however, insisted in putting the new organisation on a firmer financial footing. Hubbard would not tolerate any the limitations being placed upon him, and it wasn’t long Purcell was forced to declare the Institute bankrupt. Hubbard decamped to Phoenix with the Dianetics materials, to avoid court bailiffs working on behalf of Purcell, but this was futile. Without the copyrights he could no long practice dianetics for money. 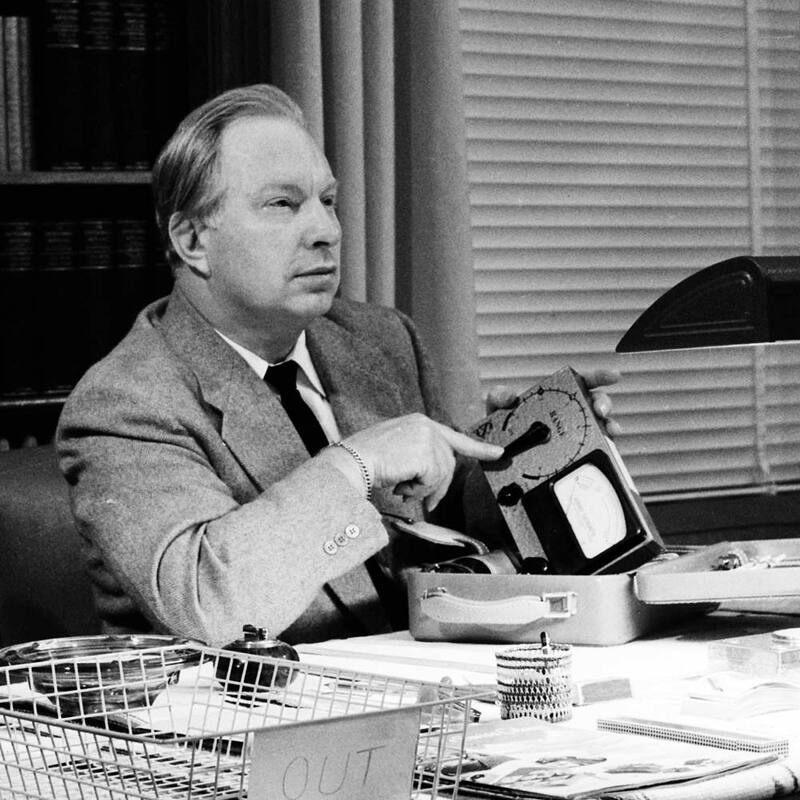 Hubbard bounced back by having the mailing list of the Dianetics Institutes stolen for him, and used them to acquire members for his new organisation, Scientology. This proved to be so lucrative that Hubbard could buy Saint Hill Manor in England, and made that Scientology’s international headquarters. Hubbard learned from his mistakes. He never again shared power. He became the one and only “Source” of Scientology, and his ‘research’ took on the character of exclusive and unquestionable revelations. Nobody who might become popular, and present a threat to his absolute power prospered for long. Thanks to the efforts of Dr Joseph Winter (who later became disillusioned, and published one the first books critical of dianetics) and the author AE Van Vogt, both early supporters of dianetics, Purcell donated the copyrights to dianetics back to Hubbard. Unwilling to waste any effort, Hubbard incorporated dianetics (rather inconsistently) into Scientology. […] she won the hearts of of Scientologists by her constant good sense and devotion. She earned the complete trust of the public. In organizations it became understood that when Mary Sue took over a post it would proper and that when she gave her attention to an it organization it promptly came out of the red. Mary Sue is set up not only as Hubbard’s fixer, here, but also as the more humane and accessible face of Scientology. This image culminated in 1974, when the Church of Scientology published “Marriage Hats“, a booklet which Mary Sue herself wrote, claiming that she had done so in response to requests from Scientologists to reveal the secret of their ‘perfect’ marriage. More fulsome praise follows 0you can download a .pdf of the whole document, if you want to read this all for yourself. However, the final interesting part comes near the end. Most of her work is concerned with assisting Scientologists to get help and assuring them of justice and good service. We now know that the Guardian’s Office was Scientology’s secret police, and dirty tricks department – the precursor to the present ‘Office of Special Affairs’ (OSA). During the 1970s the Guardian’s Office, under the direction of Mary Sue Hubbard, would undertake ‘Operation Snow White‘ – a secret project that would lead to her downfall. ‘Snow White’ aimed to create a pristine reputation for L Ron Hubbard and Scientology (and to gather intelligence) by infiltrating the offices of any entity whose records included negative material, and either removing it, or replacing it with something positive. US Government departments were particularly targeted. This project began in 1973 – a year before the publication of “Marriage Hats” in which MSH presented herself as a archetypal, old fashioned submissive wife. She was, in fact, ruthlessly organising one of the largest infiltrations of the US government in history. Mary Sue Hubbard was one of 11 people convicted for their activities and was jailed. Despite their supposedly perfect marriage, L Ron Hubbard (named by federal prosecutors as an “unindicted co-conspirator) allowed her to take the fall. instead of supporting his wife, L Ron Hubbard went into hiding, and died in seclusion. We was only to see her a handful or times, and briefly, before his death in 1986. The document closes with an italicised ‘success story.’ Of course, it includes the obligatory tribute to L Ron Hubbard. To my dear husband, auditor, teacher and our Founder go my thanks and acknowledgement for having given the most precious gifts of Freedom and true Beingness to me and my fellow man. Without him, none of this would have been possible; and so to Ron goes my everlasting gratitude for having provided for all the road to Clear. Mary Sue may have been fawned over on the occasion of her ascension to the state of ‘Clear’, but even then, she was never allowed to forget where the real power lay.